As many people know, I am a history buff. As a history buff I also enjoy old photos. And, as a photographer, I enjoy sometimes making new photographs look old. 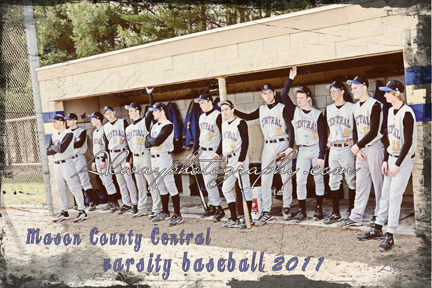 While photographing the Mason County Central Varsity Baseball team we decided to do a casual dugout shot and then make it look like an old photograph. This works well with groups like baseball teams because it’s a sport that’s been around for a long time. However, we do enjoy photographing all types of sports teams!